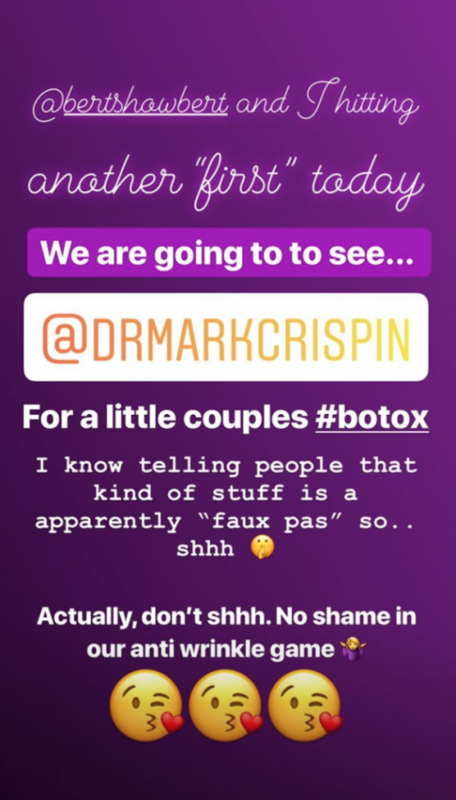 Home | Couples that Botox Together.. Many people believe cosmetic surgery is only for women, but statistics over the past several years have shown that services for men, such as injectables or ‘menjections’, are all the rage. The trend of men receiving injectable treatments has exploded in the last decade and continues to grow. According to statistics from the American Society of Plastic Surgeons, the number of BOTOX® Cosmetic procedures for male patients rose five percent from the previous year and a whopping 397 percent since 2000. We even get couples that join us for their treatments together. 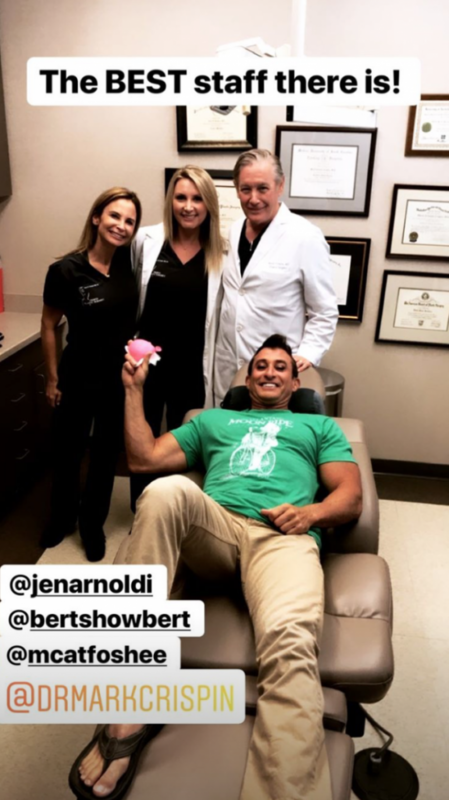 Recently, we had the pleasure of having Atlanta’s own Bert Weiss of The Bert Show on Q100 and his girlfriend Tiffany Haynes (one of our lovely regular patients!) stop by for injections together. The two images to the left are from her instagram story! Men, if you’re not interested in facial injectables, remember that injectables can be used in a variety of different areas on the body to plump, rejuvenate, and refresh skin for a more youthful appearance. We offer many different types of injectables, and they all have unique advantages. For example, some injectables provide immediate results, but experience fading over several months, while others include collagen stimulators to boost natural tissue growth and increase results over time. There’s even an injectable that’s specially infused with lidocaine to make the injection process less painful. With so many options, we can certainly find the right one for you! You can learn more about the different injectables we offer by checking out this page, or by giving us a call. 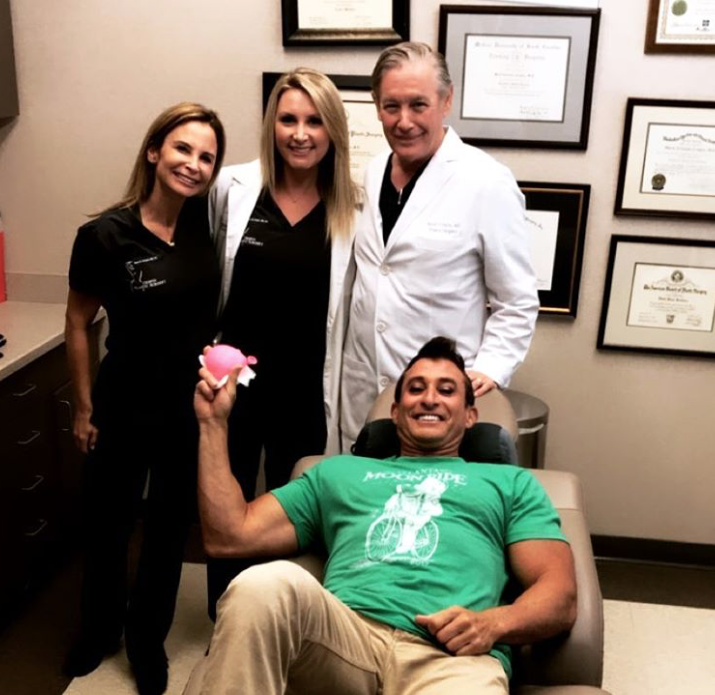 We’d love to discuss the many injectable options we offer in greater detail and help you make the best decision for your lifestyle. Please call us at (404) 257-9888 to schedule your first free consultation!